Irishhealthhour is the perfect place to go if you want to network with those in the Health & Wellbeing industry in Ireland. The Twitter meet up every Sunday from 8-9 pm is always a friendly & welcoming environment to meet and connect with like minded individuals. 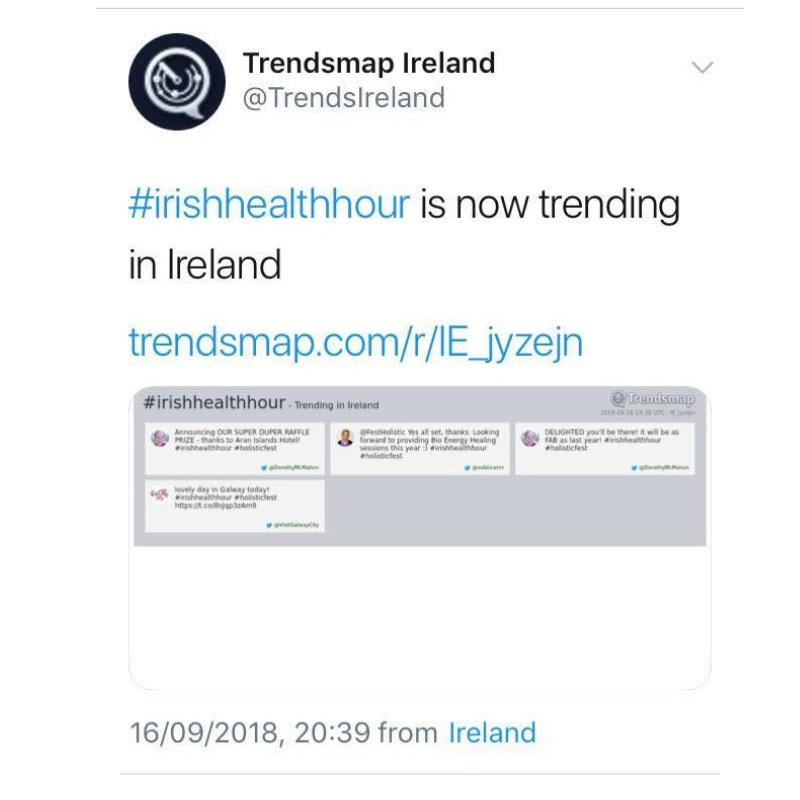 Feedback for our hashtag hour - We help our clients get brand awareness through our busy Twitter hour #irishhealthhour each Sunday evening from 8 - 9 pm GMT. Our guest hour customer @bestpractice trending in Ireland. 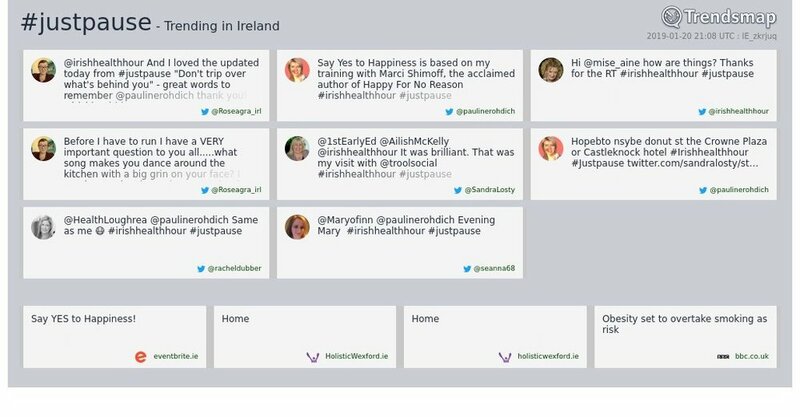 We helped our client @justpause.ie trend on Twitter.